Acupressure is an evolved form of the ancient Indian deep massage therapy. Acupressure means treating the body by applying pressure on specific points called pressure points, located in the hands, feet, face, ears, legs, back, neck, and other parts of the body. Acupressure is suitable for everyone. Contrary to popular belief, this practice was not brought to India from China and other countries. 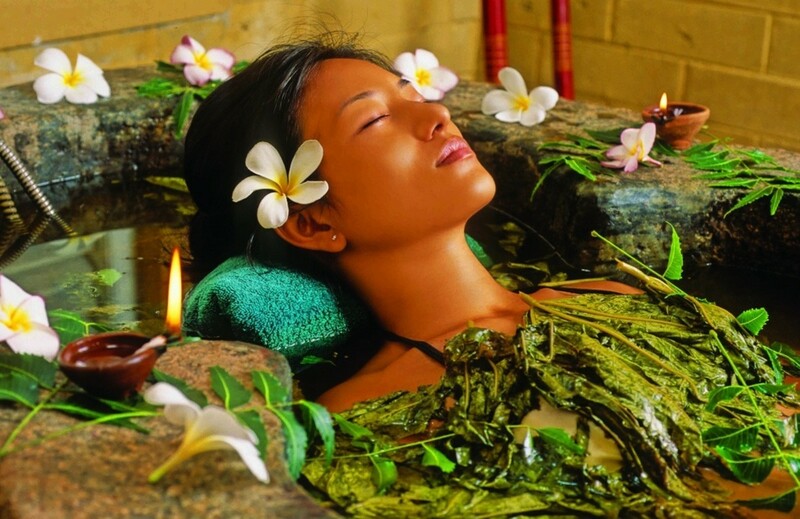 Rather, Chinese visitors to India returned home with Ayurveda texts and propagated the belief worldwide that acupressure was their gift to the world. Ancient Indian texts mention acupressure exhaustively. It will be informative to add here that the centuries-old Indian tradition of wearing bangles, kadas (thick bangles), amulets, anklets, lockets, earrings, and nose rings, etc., was a form of simulated acupressure therapy in those times. The information provided in this article is not a substitute for professional medical advice. Please consult your physician, or health care provider before taking any home remedies or supplements or embarking on a new health regime. Emotions are an inseparable part of the physical body. Hence, acupressure considers both the physical and the emotional aspects of the body as a unit and treats accordingly. 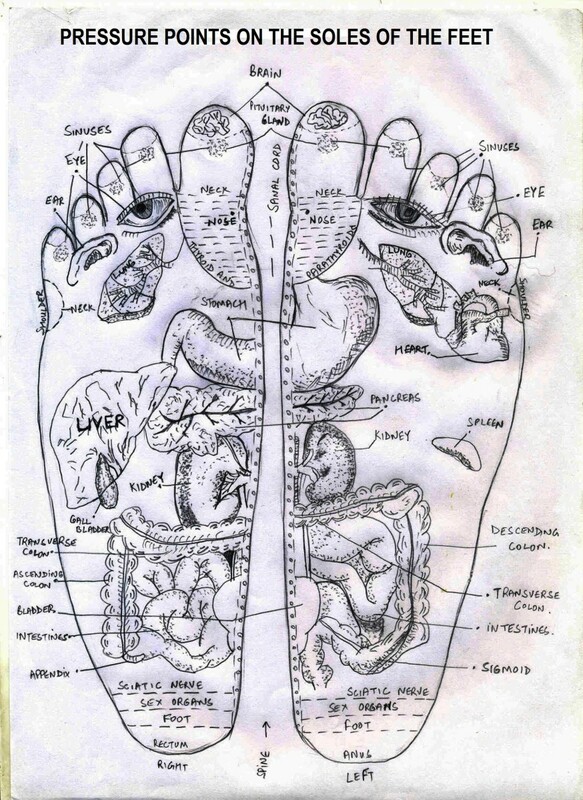 All nerve endings of the various body systems and glands are mainly situated in the palms of the hands and the soles of the feet. 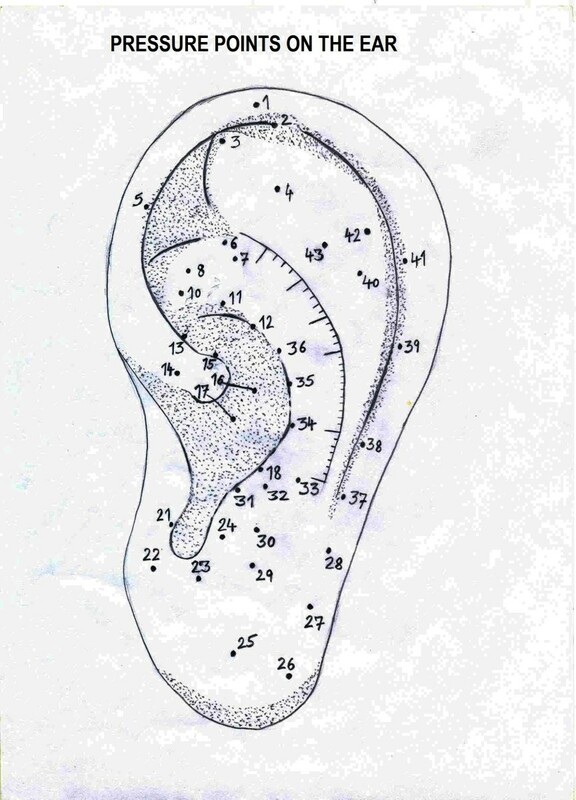 In this therapy, pressure is applied to specific pressure points related to the diseased organ or system located in the hands and feet primarily apart from other areas of the body. In this way, energy is sent to the affected body system or gland, ensuring freedom from disease. Disease occurs due to mental and physical misuse by way of thought, action, and habit. Because of this, chemicals and toxins start collecting in and around the various affected organs and joints. This leads to the suboptimal functioning of these organs and systems, the bones, muscles, and nerves. More disease in a body means a higher proportion of chemicals and toxins around the organs. As soon as the affected organ stops working effectively, a blockage appears in the corresponding organs' pressure points and fine crystals of chemical compounds start collecting around the pressure point. The toxins around the organ impair blood flow. When pressure is put on the affected pressure point, these collected crystals start to move and are destroyed. The blood flow is restored, leading to the health of that organ. According to another theory, our body is made up of five elements which are controlled by electrical energy called bio-electricity or bio-energy. According to this theory, the affected pressure point feels pain when pressed due to leakage of this bio-electricity outside the body. This causes malfunctioning of the related organ. When pressure is given on this point, the leakage of electricity stops and the bio-electricity starts flowing through the organ once again. The organ becomes healthy and starts functioning normally. According to Dr. Chu Lien there are 669 points while some others give the number as 1000. In daily practice however, there are 100 points which are of importance. Acupressure can be applied by the thumbs, fingers, or wooden or plastic devices as per the needs and facility available. The applied pressure has to be medium in intensity. While doing this, if unbearable pain is experienced on any point, it must be understood that the organ related to the pressure point is diseased or affected. The pressure is applied by resting the thumb or finger on the pressure point and applying pressure in a clockwise circular motion. When pressure is applied on the points in the hands, feet or other parts of the body the collected toxins and chemical crystals start moving slowly from there and get mixed in the blood and are either removed through perspiration or by the kidneys. Hence, after acupressure is done it is important to apply pressure on points related to the kidneys for a minute or two. As these crystals start moving, the effect of the disease starts lessening and there is less pain when these points are subsequently pressed. If this routine is followed for some days, the disease will be cured with either no pain or very slight pain experienced on these points. One might experience extreme pain and even swelling on the affected pressure point initially when you start this therapy. Do not get disheartened or scared. This is normal. Hot fomentation with water to which salt has been added will relieve the swelling and pain. Acupressure is useful in all diseases. 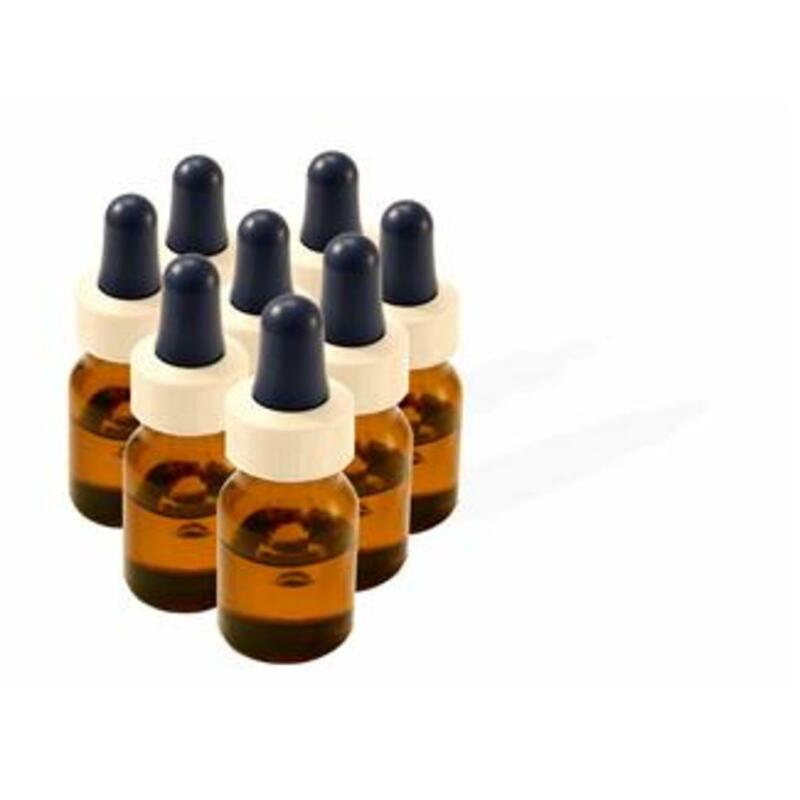 It is a side-effect free therapy and can be incorporated with other treatment systems.Some important diseases which can be benefitted with this therapy are listed below. WHO has accepted the importance of acupressure and acupuncture therapy in sciatica, cervical spondylitis, diseases of spine, frozen shoulder, knee pain, bed wetting, stomach ulcers, constipation, headaches including migraine, abnormalities of the nervous system, gas, acidity, tonsillitis, sinusitis, bronchitis, asthma, ear, nose and throat infections, dental pain, paralysis etc. Acupressure has an immediate effect on sudden heart pain and blockage in arteries. In relieving stomach diseases, diabetes, and mental conditions. 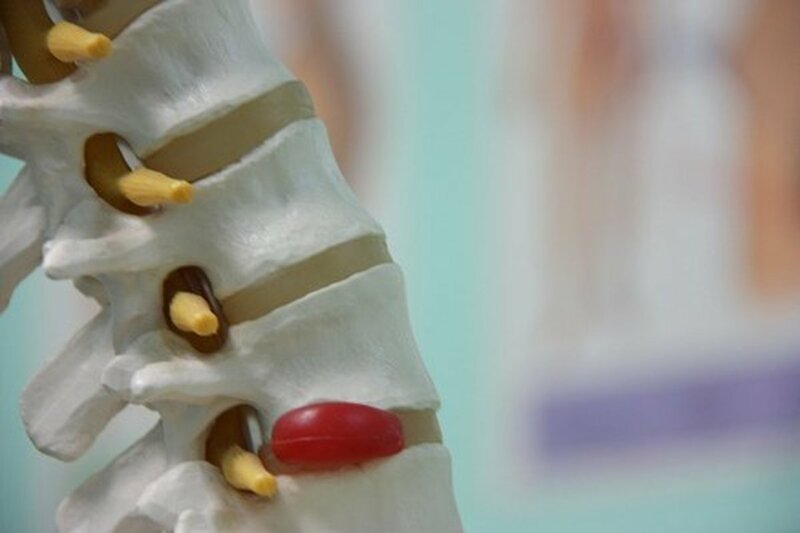 This therapy, along with treating a disease, is also a tool for disease diagnosis, revealing which organs or glands are not working optimally if pain is experienced when the pressure point is stimulated. Sometimes, it so happens that laboratory tests do not reveal the causative factors of a disease. 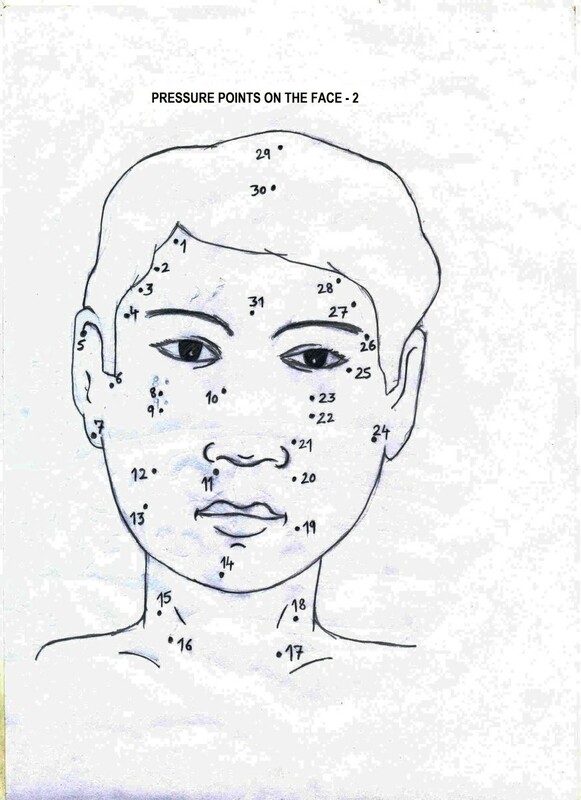 In such cases, acupressure can be exceptionally helpful in locating the disease's causative organs, glands, or systems. Acupressure can be done anytime. If one is taking treatment for organs related to the digestive system (such as stomach, intestines, liver, kidney, gall bladder etc), then it is ideal to do acupressure either 2 to 3 hours before a meal or 2 to 3 hours after a meal. It is best done before meals so the body can focus the energy on the treatment instead of digestion. However, it can be done one hour after drinking a glass of milk or eating some fruit. Pressure can be put for a period of 30 seconds to 2 minutes on each pressure point. The health of a person determines this duration. Otherwise a person can become unconscious. Do not apply pressure to any one point constantly but keep applying pressure to various points sequentially. Do acupressure twice a day, morning and evening. In cases of pain, etc., it can be done 3 times a day. 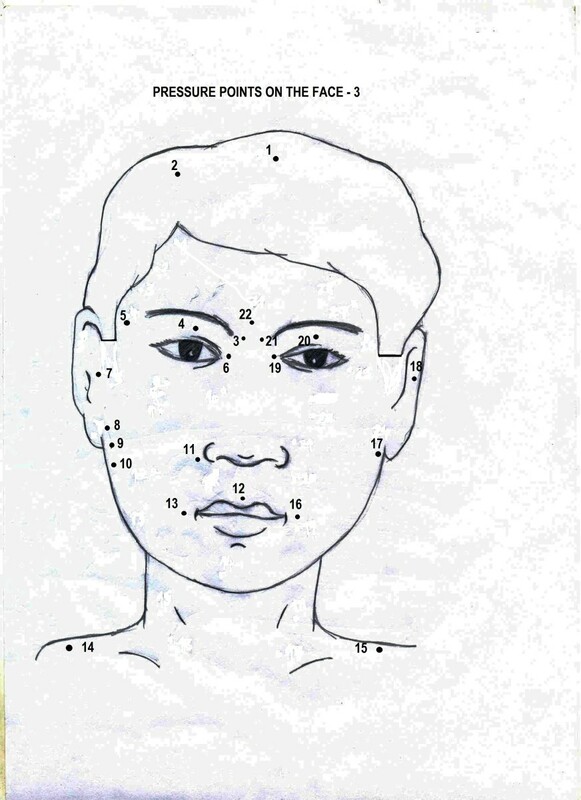 Some tools used to apply pressure on the pressure points are shown in the pictures below. 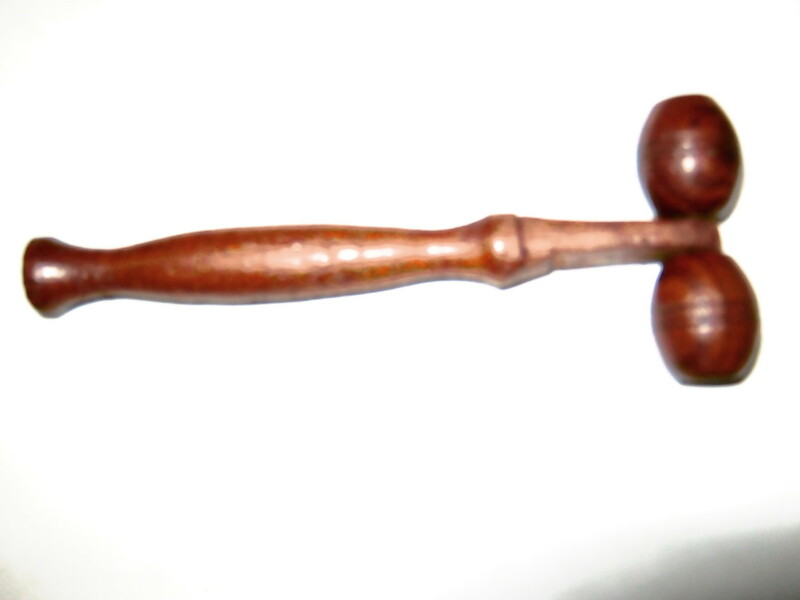 The finger roller is for pressure points along the sides of the fingers. The foot mat is for pressing the points on the soles of the feet. 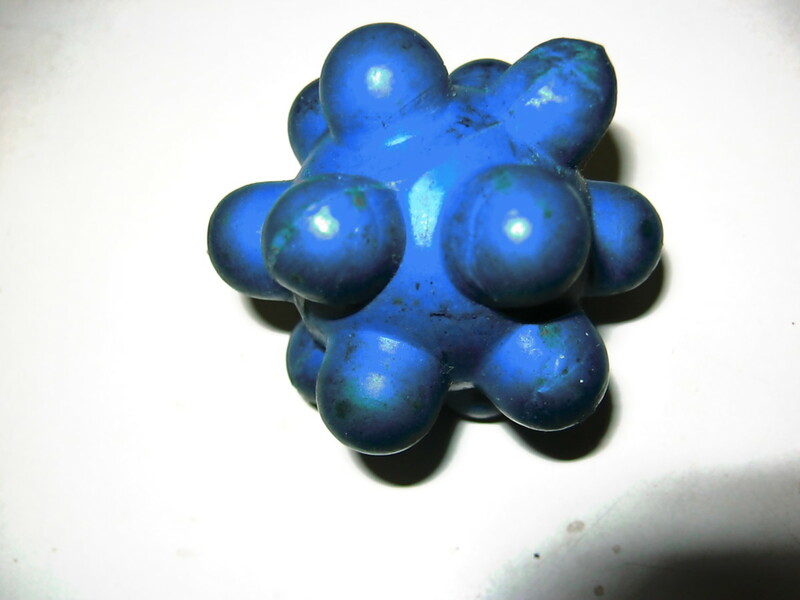 The roller ball is rotated in the hands. Theroller is for rolling on the legs or back. The Jimmy is for points in hands and feet. The foot roller to roll on the foot pressure points. These tools help in case the thumb and fingers cannot be used to apply for giving pressure. hello sir, My mother is facing noises in the head. I am not sure if the problem is tinnitus. She used a hearing aid for a few months but not now. She describes the sounds as wind gushing sounds. The noises are there most of the time even if there are no external sounds. What can be done to resolve / minimize this problem. Thanks. Mr Rajesh I reiterate that I do not believe the handwriting of 2 people could resemble so much and maintain that on these drawings it belongs to my son. Incidentally these drawings and his handwriting are over the net if you do an image search. It's very easy to make the drawings from there as well. Anyway, I'll leave it at that. swati, you need to press the kidney points regularly on both hands and feet if possible giving medium pressure for a few minutes to start with and then increasing it to 10 -15 minutes maybe split in 2 sessions. Go slow and it will take time. Patience is needed. Sir you are absolutely right. These have been made from that book only. But the handwriting is of my daughter....there is no doubt in this. We were just curious to know how these images can reach there from her school. Anyways leave this. Mr. Rajesh, all these drawings are drawn by my son Karan Jolly, from the book on Acupressure by Dr Attar Singh, which I have. The handwriting on the images is his as well. Incidentally, this book was published in July 1999 much before your daughter drew them in her 12th class biology practical file in February 2015, as you say. I'm sure, without the reference book at hand, drawing these would have been impossible for anyone. The said book was published by Acupressure Health Centre, Chandigarh. Mr. Rajan, I appreciate acupressure knowledge provided here; that is very beneficial for almost all types of diseases. But, can i know from where you have got the above drawings. As these all have been made by my daughter, Tripti Aggarwal in her twelfth class biology practical file in february,2015. How these pictures can be uploaded without the concerned student's knowledge. You have written v useful information in this hub. This is without medicine treatment therapy.Everyone should take this treatment because Acupressure therapy is good for them who do not want to take medicine to cure their diseases. This is very informative and practical information. 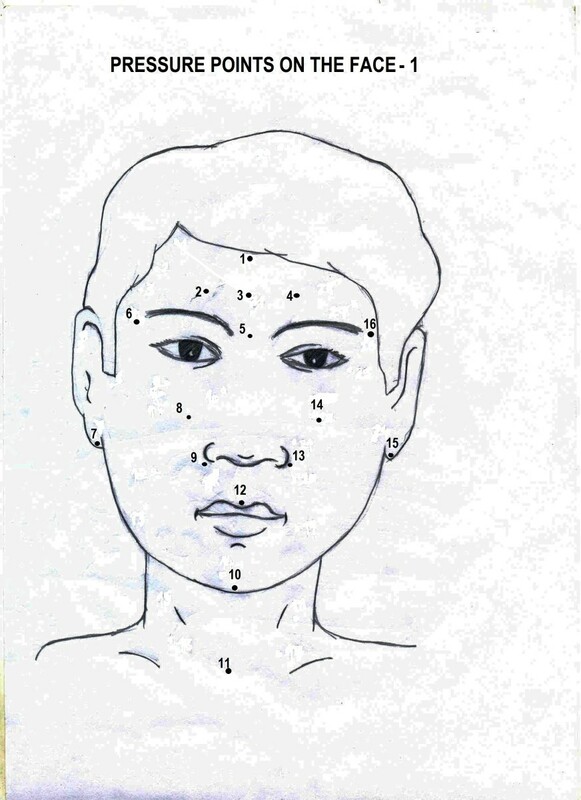 I am practicing Acupressure for about 3 years now and still got new information from this hub. Great work. please keep posting. I need your contact info in Jalandhar !! Thanx alot for giving this wonderful information . My relative is a patient of kidney. He is taking steroids from last 26 years. We want to consult regarding his disease. I had stroke on 5.9.12.After exercises,still I am unable to walk properly and my fingeres are not functional.How can I restore both inabilities.I stay in Pune.What is the source for least expensive treatment in Pune since I am retired. Guptajje, good to know acupresuure has benefitted you. Thanks for your feedback. Satish I have no idea about your query. From last week. He got it early morning waking from bed. please suggest best points to get rid from it. sir i want to know regarding my wifes knee problem and pain in inner parts of the legs near knees any accupressure therapy. my dad admitted to hospital last Friday due to internal bleeding in the brain. how he is been recovering but left side (hand &leg) paralysis. the sugar level not drop below 250. doctors giving 10 mg of insulin. but steel sugar level remain 300-250. pls let me know the foot pressure points for drop this sugar level and paralyses. 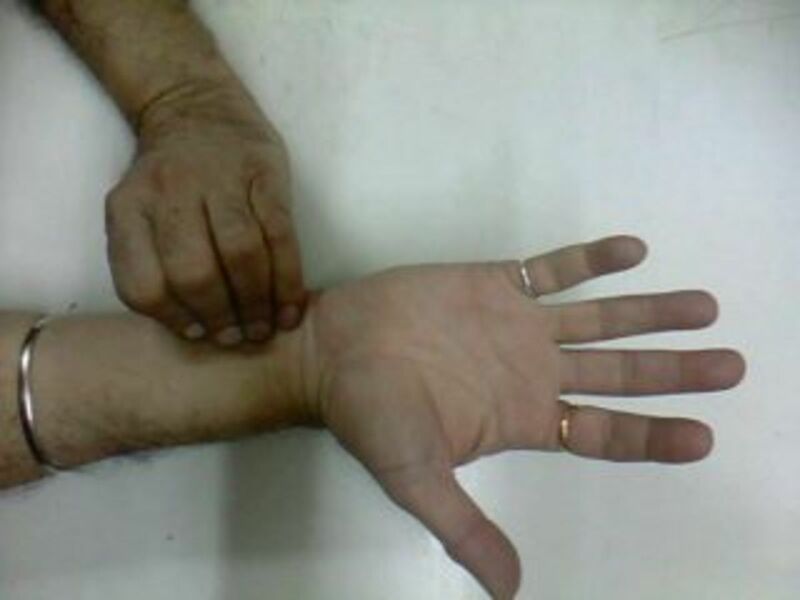 Manoj, acupressure therapy is totally safe if the precautions mentioned here are taken care of. You can contact me through the hubpages contact point .Right now I'm in China visiting my daughter. I'll be glad if I can be of any assistance. Is it possible to contact you? @Indian Chef-thanks for the read and sharing. This is absolutely high grade therapy. Very useful and informative hub. Thanks for sharing..
Rajan Very Interesting topic. I have heard about it but never met someone who has actually been treated by this pathy. Great hub. Sharing and voting it up. Thanks gags, for the read and share. @ Paul-your feedback is a shot in the arm for this hub. Thanks for this comment and also for visiting and passing this on. @ Archa-I have done 2 hubs apart from this and would be putting up more as and when time permits. Thanks for reading. Thanks for sharing. It would be if you share some more details about the acupressure treatment for some deadly diseases. This is an awesome hub and once again I have learned a lot from you. 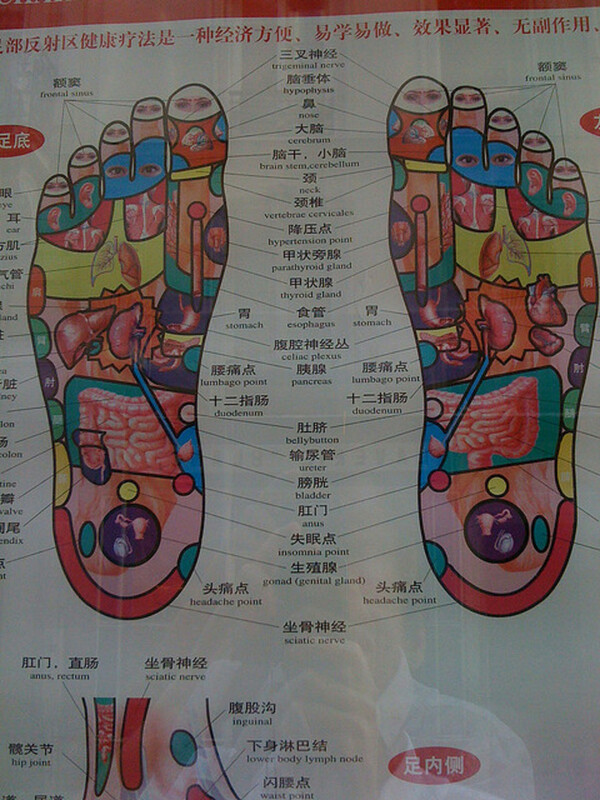 Actually, I first became introduced to acupressure when I was living in Taiwan. Even with a novice like me practicing it on my wife, it seemed to be effective. I remember referring to a pressure point on the sole of the foot, and applying pressure there which helped my wife to pass gas and feel better. Voted up and sharing with followers and on Facebook. Also Pinning and Tweeting. Thanks for visiting, georgie and appreciate your leaving a comment. This was really specific and helpful thanks! Chandini, you can check my article on insomnia points. The link to this article is given at the beginning. This is very informative.can you please give how acupressure helps in relieving insomnia in elderly. Sujata, I think you exerted too much. And it is a fact that the points must be pressed with moderate pressure and only for 30 seconds to a max of 2 minutes at each point. But start with a count of 5 secs pressing and 5 secs off. Total 30 secs. Then every week increase by 30 secs., till you reach a max of 2 minutes. But it all depends if you need to go to 2 minutes or not. If you are getting benefits keep sticking to that time period. Only if you stop benefitting or the benefits have plateaued out do you need to go further but 2 minutes is the maximum I would suggest. Also instead of doing once a day you can do it 2 times a day or even 3 but taking precautions as I mentioned in my hub. Not to be done immediately after eating and the rest. Yes I did exert myself and on day 2 itself I did 5 minutes each pressure for eyes and kidney in hands and foot total 20 minutes. Sujata, it is difficult to understand why you you had severe pain and headache. Did you exert your self with the pressure? For how many days did you do it? The applied pressure has to be mild and the duration has to be increased slowly starting from a minute to 2 minutes. Sujata, can you let me know if you did eye exercises or acupressure for the eyes? I tried Baba Ramdevs technique for eyes. But on the 2 day after finishing it which was very taxing since I was doing it myself which was for total 20 minutes after breakfast. My eyes infact started paining ??????? Acupressure therapy is really very helpful. Thanks a lot for sharing so many information about it. I enjoyed reading your hub. Acupressure is an effective technique without the pains of the needles of acupuncture. I find it very effective. Appreciate the votes and sharing, Sasha. Thanks. Your drawings are especially helpful! Thank you for such a great hub. My father in law does a lot with ear acupuncture but I'm not keen on the needles... I'd much rather do your acupressure techniques! Thank you, voting a bunch and sharing! Anantharaman, thanks for being so appreciative. Appreciate your reading my hub. Thank you. Dear Rajan, Its nice to read the feedback and first time am going through this. Ofcourse, I too work for few charitable hospitals with Vibronics, Reiki, Sujok Acupressure and Marmam. I may require your guidance to treat the people with incurable diseases. Massage does act a bit like acupressure as it stimulates and activates the pressure points. Therefore the benefits of massage. Thanks for stopping by Pinkchic. Very interesting. It seems like sometimes when you go in for a massage they will do a little bit of acupressure but it depends on the massage therapist. Nice hub here! Glad to note you appreciate the benefits of natural remedies, Shia. Thanks for sparing time to come and read. Interesting hub, this is fascinating stuff. 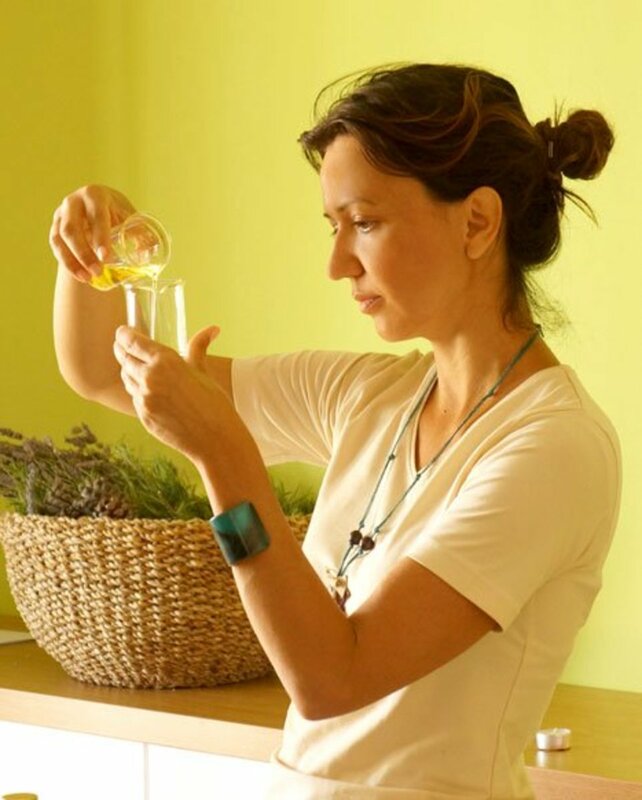 I think it's good to try every natural remedy we can before we turn to more invasive means, and I am going to make more of an effort in remembering to try some accupressure. VU & useful & everything-- great job. I'm glad you find the information on acupressure useful. It is a simple and useful therapy and can be self administered in an emergency. 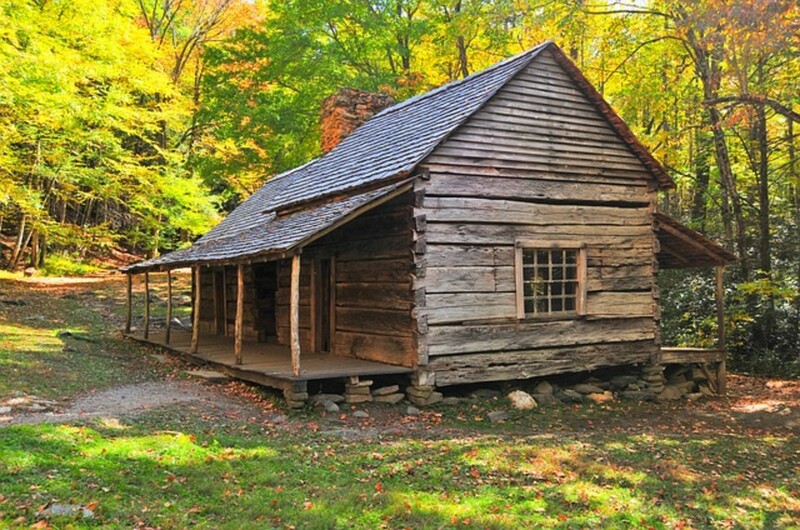 Thanks for visiting and appreciate the bookmarking and the follow. Thank you. Hi Rajan. Thank you for such an exhaustive and helpful hub. So well researched and presented. I have read before of acupressure but not taken note. Your hub has changed that and I have saved it for future reference. Thank you. Thanks Rajan , its helpful will try this at mean time. busillis, I hope you give this therapy a try. Thanks for stopping by. 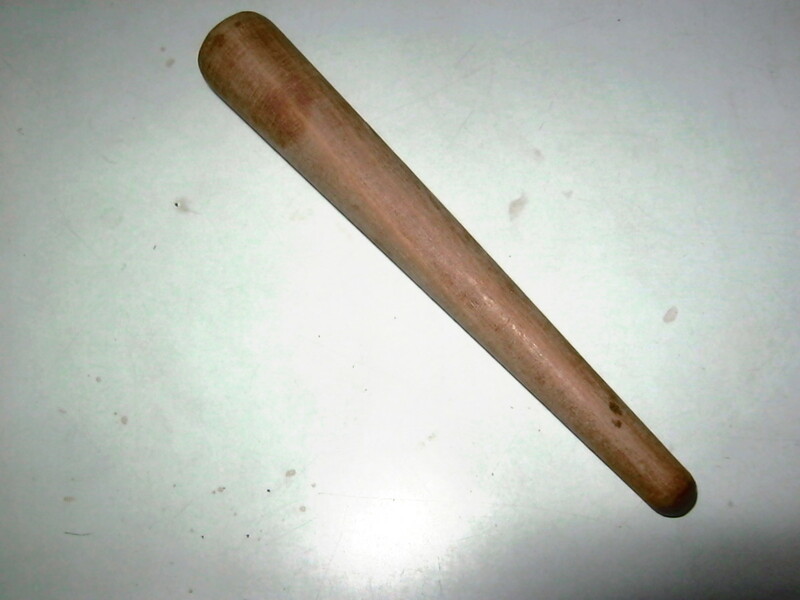 I've been thinking about trying this to help my muscle tension. This has given me some really helpful information and I might just now give it a try! Thanks for reading rakesh. You need to press the brain points as explained in this hub. @ Mahavir - thanks for reading. @ Stephanie - Thanks for stopping by. Thanks rajan jolly! Definitely worth checking out. @ Stephanie - Acupressure is a safe alternate health therapy that surely can be tried for your problem. You need to get it done from an experienced acupressurist. Thanks for reading. @ Marco - The powerful jet is stimulating the pressure points in the feet as I can see it. And hence the feeling of wellness. Thanks for visiting and sharing your experience. @ ryanjhoe - Glad you like it. Thanks. 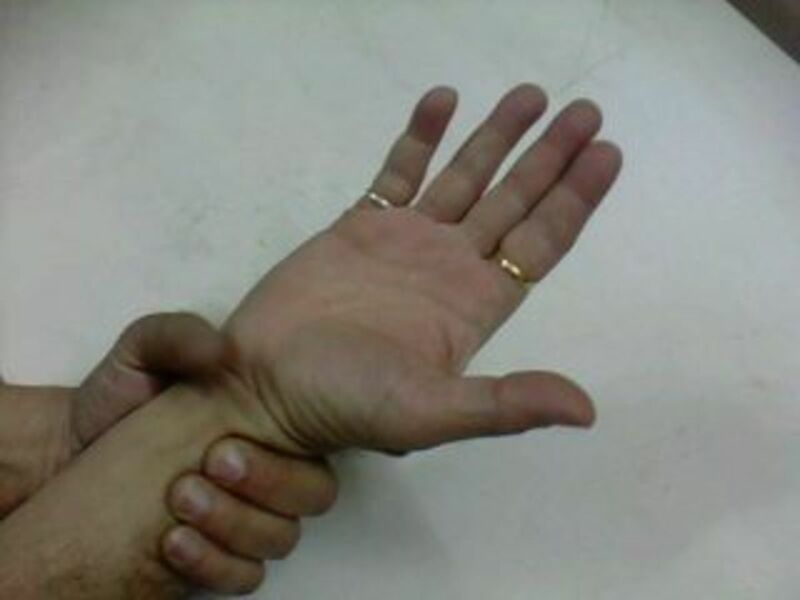 Nice info about acupressure, very complete with pictures. This is really helpful. I do not know the acupressure of the various areas of the body, but I must say that when I go to my health club, between each other sauna, and a variety of massages, I find a huge relief when I go to a particular point in the whirlpool area in which there is a particularly powerful jet of water at the level of the feet. Well, when I make pressure on the soles of the feet at various locations depending on the choices that I find well-being, the state of general well-being of my body instantly increases. Wow... this is really informative. I've never had acupuncture done on myself but I've always been curious how it would work for me if I did it. Maybe have an effect on my diabetes! Nice to see you again here, Audrey! Acupressure is easy to learn and practice and the good thing it it works. Appreciate your stopping by. This is a hub to come back to again and again. I can see how with a little bit of practice, you might become somewhat proficient at healing the body. Vinay, thanks for reading. I entirely agree with you. Thanks again. M also an acupressurist and naturopathist.. Thanks Samith. Glad you found it useful. Thanks Au fait and I hope you like the other hubs in this series as well. Appreciate the votes, visit and share. Thank you. A fantastic hub! Lots of invaluable information here. I'll be referring to this hub and plan to read your others on this subject. Voting you up, useful, interesting, and will share! Thanks L.L. Appreciate the visit and compliments. Thanks for the vote and share too. As always, your hub provides such in-depth information. Pictures and diagrams are useful and supplement the text wonderfully. Acupressure is a most useful tool to have in one's arsenal of holistic care of the mind and body. global Chica, regular use of acupressure therapy does have positive results. I'm glad you like the info here. There are points for fatigue and tiredness too. I have a hub on Hand postures or Hast Mudras. 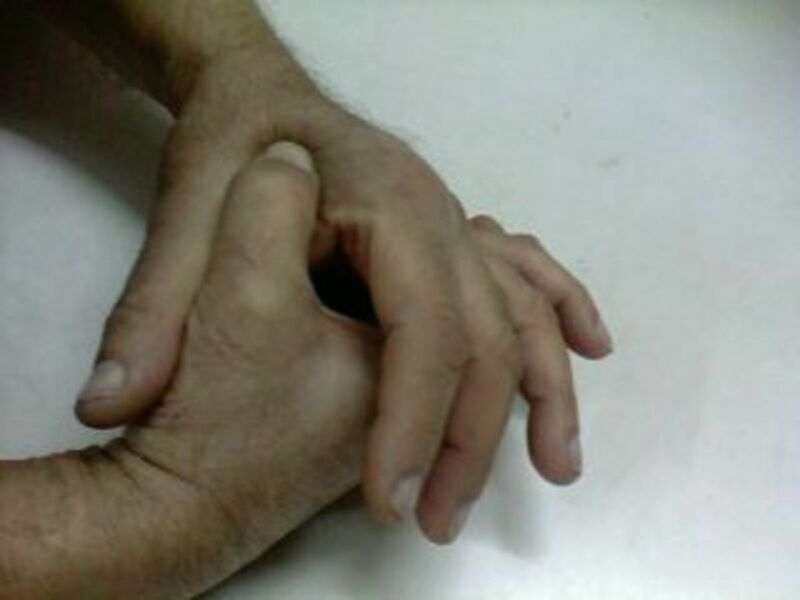 You can have a look over for various hand postures related to different health conditions including fatigue. This is a really fascinating and useful hub that I thoroughly enjoyed reading and look forward to using. My boyfriend is having trouble sleeping so I just looked at the hub with him and applied pressure to his ear lobe and next to the brow. I wonder if there's also a pressure point for fatigue. Thanks so much for this hub. I'll definitely refer back to it and will now share it with my followers. sweetie, Well! you have the facts now as to origin of acupressure. nice to know you like the hub and thanks for reading. Rajan, very interesting Hub. I always thought that acupressure originated in China but never thought it originated in India. voting up and interesting. 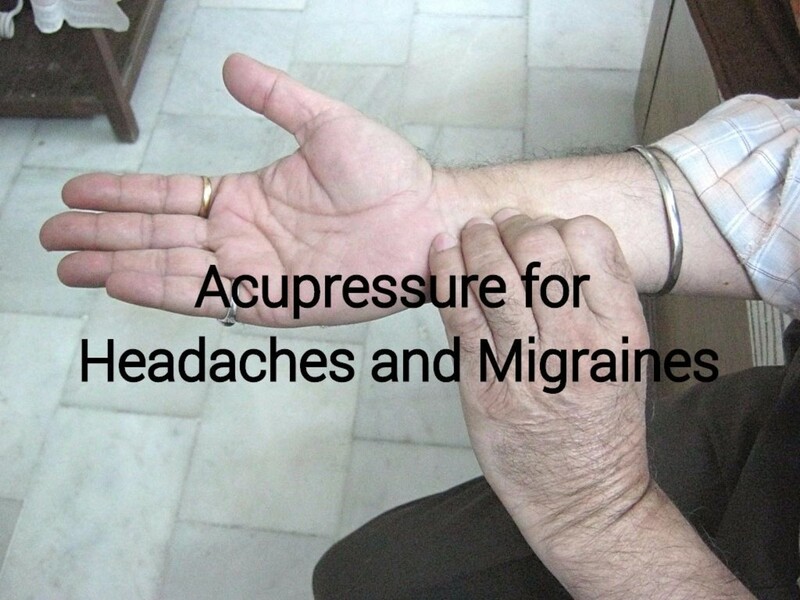 Acupressure is a boon in developing countries as it does not need special skills to perform on oneself thus a number of health issues can be taken care of by self therapy. And the best part is it is costless and side effects free. Thanks for stopping by and voting too. With this age and hard times, i think every one need Acupressure Therapy, it can lessen all that body stress that today society endure in daily chores. You have provided here well researched information about this wonderful therapy including how and when to do i , that is really helpful. Voted up, useful and more. Thanks for dropping in Sunil. Really useful article, with in-depth information and the pictures accurate and demonstrative. Good work! @ Zubair - If you watch Swami Ramdev's video he has shown a masterpoint for all types of pain. 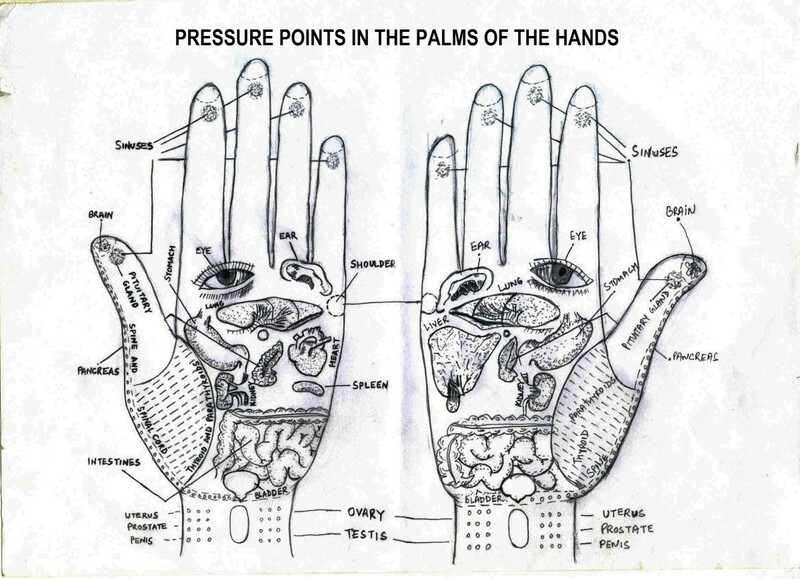 This is a hub meant to familiarize readers with what acupressure is. After sometime I will be publishing hubs that have each system and some physical ailments that can be rectified by using acupressure. I would suggest you watch the videos by Baba Ramdev. @ Jennifer - Glad to read your comments. Thank you very much. Appreciate your visit.